* Club meets the second Saturday of the month at 10:00 AM. First meeting is February 9th. * Club Fee - $30 for six sessions or $12 a session. $30 if you sign up by February 2nd . Call 262-338-0597 to register. Seating is limited - sign up today. 5:30 to 8:00 PM, of every month except January, July and December. Each month Cheryl will have a new project. 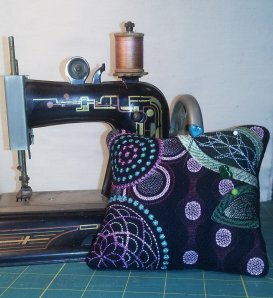 These projects will teach you to use your embroidery machine to it's full potential. A new Table Topper will be demoed each month in place of a new row. 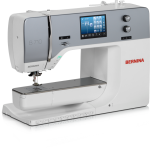 Open sew is the answer to many quilting and sewing questions. Nancy is an accomplished seamstress and quilter. She will give you the assistance you need to complete your project or start a new one. Students must register and pre-pay in advance for all classes. If you are unable to attend a class, full refund will be made IF you cancel seven days prior to class. Supply lists are provided for each class at the time of registration. Students receive a 10% discount on all materials and supplies necessary for the class project.